Why is mi2g so unpopular? Richard Forno, author of The Art of Information Warfare and security consultant to the US Department of Defense, has launched a broadside against mi2g, accusing the UK-based security consultancy of spreading fear, uncertainty and doubt about cyberterrorism risks. In a critique entitled Security Through Soundbyte: The ‘Cybersecurity Intelligence’ Game, Forno questions mi2g’s estimates of damage caused by cyber attacks and the whole basis of its ‘cybersecurity intelligence’ business. Much of Forno’s criticism of mi2g chimes with that of VMyths editor Rob Rosenberger, who features mi2g high up in his hysteria roll call of security industry Prophets of Doom. 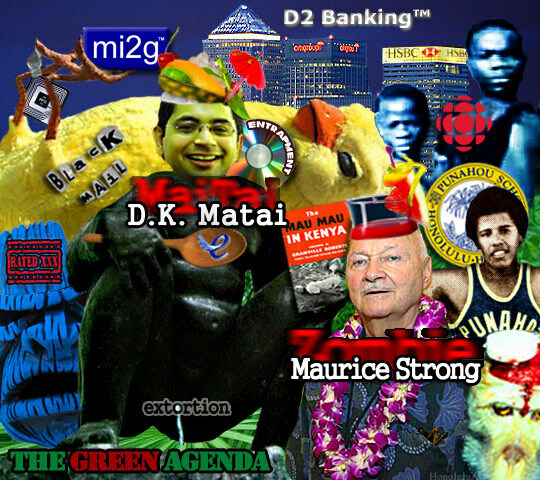 Rosenberger’s “relentless caricatures of the company’s press releases, publicity blitzes, and founder, DK Matai” earned his pages – rather than mi2g’s – top billing on Internet searches for the term “mi2g controversy”, and provoked a nastygram from mi2g back in July. mi2g was also unhappy about Rosenberger’s use of PR-supplied pictures of mi2g’s founder Matai in his satirical stories. Other critics of mi2g include NTK and our own Thomas C. Greene. The chief charge against mi2g is its regular predictions of withering cyber-assaults which, critics say, rarely seem to materialize. For example, Forno draws our attention to a “spooky November 11” briefing by mi2g which talks about the need for “counter-attack-forces” to deal with the threats of “digital terrorism” in the “5th dimension defence shield” against “digital mass attacks” and notes that it’s “not a question of if, but when” such attacks will occur. “Coining neat buzzwords in the cybersecurity realm makes for interesting reading, but does little to offer real solutions to the security challenges faced today,” Forno writes, arguing that the material only “serves to fan the flames of public misperception”. “Even more disturbing is the report’s feeble attempt to capitalise on the public’s visceral fear of real terrorism by trying to relate the ‘insider threat’ of disgruntled employees to the al-Qaeda members responsible for the September 11 attacks,” he adds. According to mi2g, in November 2002 there have been 57,977 ‘overt digital attacks’ to date, and that such ‘overt’ attacks will cost $7.3 billion worldwide for 2002. Forno scoffs at these figures, pointing out the difficulty of estimating losses resulting from cyber-attacks. “One wonders how much mathematical masturbation takes place when analysing and generating these numbers,” he writes. He also questions mi2g’s credentials and experience in the security industry, arguing that most of its staff appear to be without “significant operational IT security experience”. mi2g denies this and states that it employs experienced risk managers. mi2g started off in the mid-1990s as an e-business enabler focused on operating portal sites (such as Carlounge.Com and Lawlounge.Com) before repositioning itself as a security integrator/consultant specialising in providing “be-spoke security architectures” and security intelligence. It burst into the IT security scene with a highly controversial, and colourful prediction, in late 1999 that a Y2K virus would cause widespread loses by moving corporate clocks forward. Anti-virus firms dismissed the alert and the subsequent non-appearance of any significant Y2K-related problems cast further doubts on mi2g’s initial warnings, which are often the main exhibit in the case against the company. Indeed this alert can still be found on mi2g’s Web site along with its many reports of hacking assaults, which are frequently successful in generating high-profile media coverage. To declare an interest, I should state here that I have reported on a small number of mi2g events and announcements. The company has good contacts in the city and in government, and is one of the few which can regularly attract IT directors from blue chip City financial firms to its events. So how does mi2g respond to its critics? Founder DK Matai wasn’t available to talk to us, but mi2g’s Intelligence Unit did give us a statement responding to the latest criticisms against the firm by Forno. It said it welcomes feedback but argues that concerns about the way its research on security may come across are “unjustified”. “If there is a prevailing opinion that somehow we can accomplish our objective in a superior way in the future, we welcome any clear and constructive presentation of how this could be achieved. Such feedback is naturally valuable to us,” it adds. Forno’s criticisms of mi2g’s cyberterrorism warnings and the supposed links between digital vandals and mass murderers drew the sharpest response from mi2g.